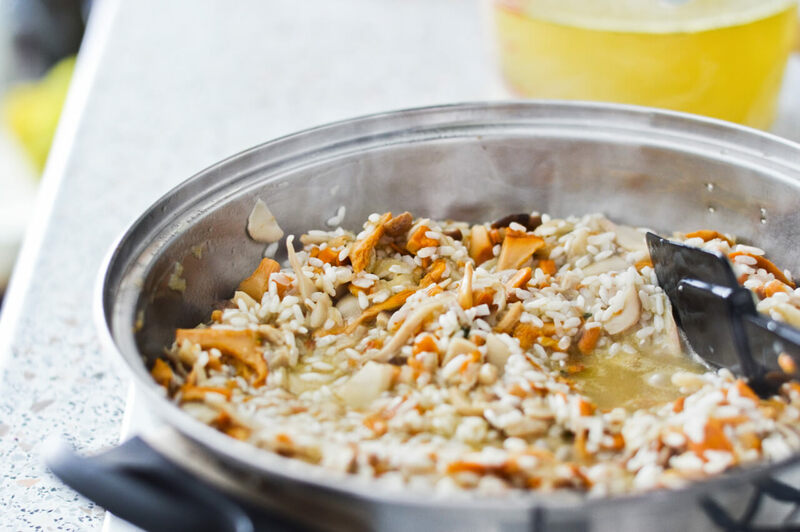 Best risotto ever – Wild mushroom magic risotto! 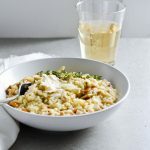 I have been anxiously waiting for the chance to share my wild mushroom magic risotto recipe with all of you! It’s one of my favorite things to make, even if I’m not the biggest mushroom lover. The recipe just really works. 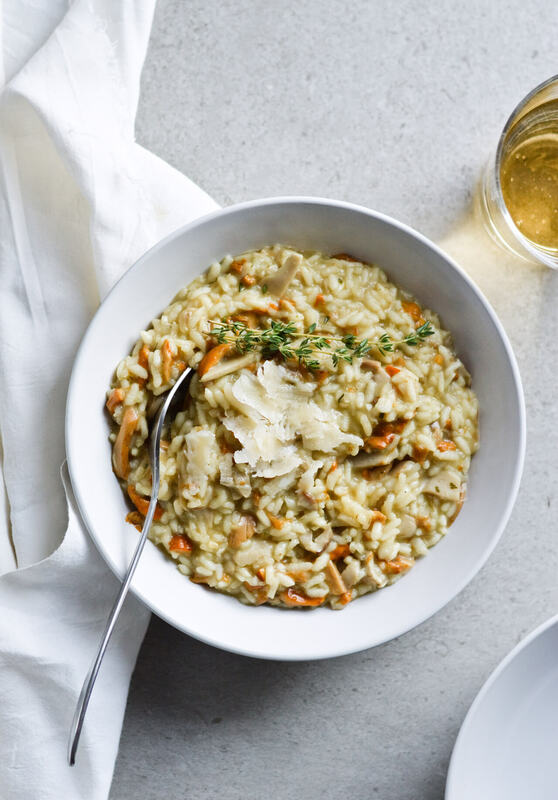 With risotto, you can go any way you want. Meat, vegetables, mushrooms, saffron, even truffles. 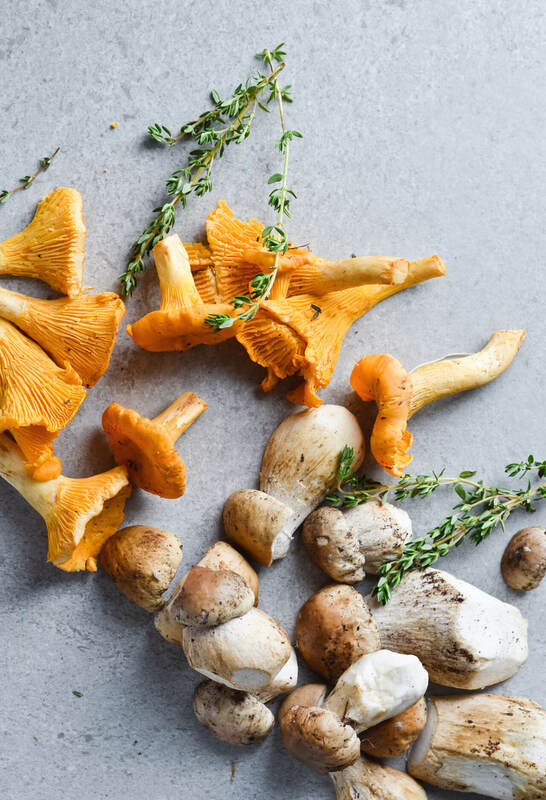 The first two are very different and the latter two are a bit more specific, which makes mushrooms the perfect middle choice. And whether you’re a carnivore or vegan, you can make this recipe! 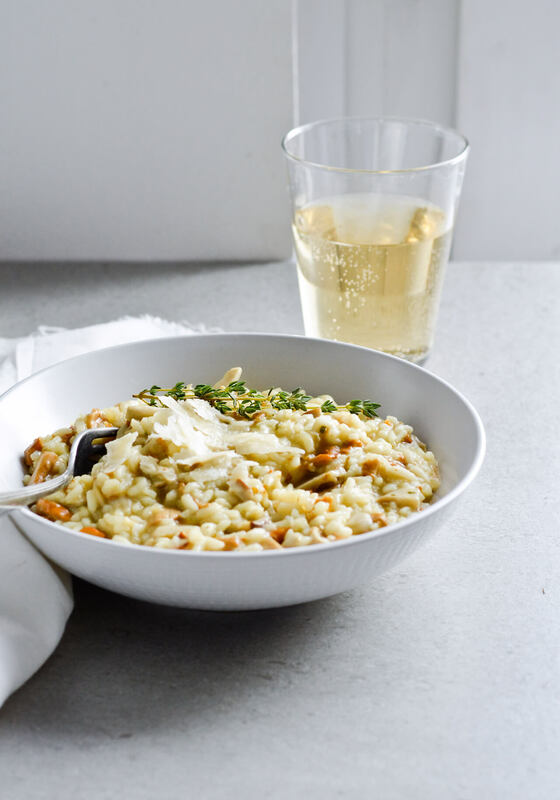 Risotto, as a dish, isn’t a very complicated thing, but it’s like a little baby. You have to watch it carefully, give it a stir and a drink every so often. But the end result is so worth it. I make my risotto with shallots, garlic and some thyme; all three complement the mushrooms really nicely and take the risotto to a new level. They somehow make mushroom taste like how they’re supposed to taste, earthy and rich. I also use a combination of olive oil, butter and cheese; to add some more flavor and to thicken the risotto, however you can skip the dairy, if you’re vegan, and use vegan butter instead. 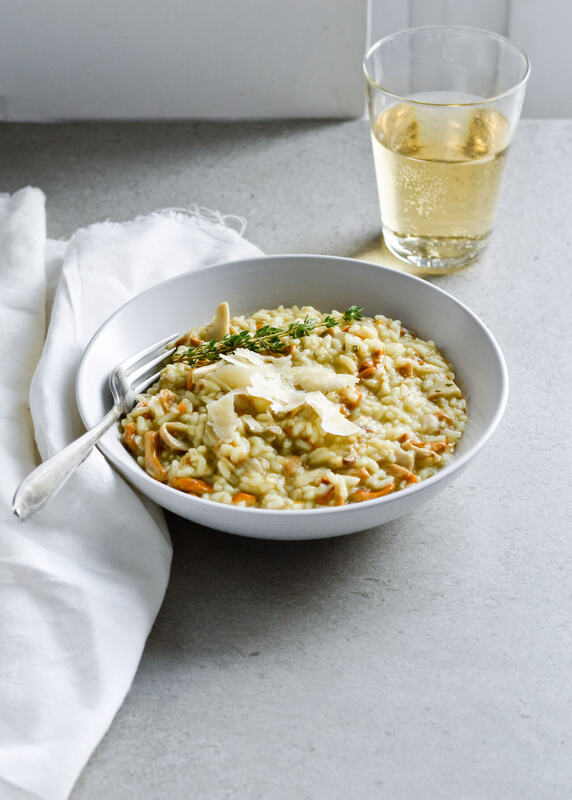 This wild mushroom magic risotto is so creamy and just the perfect autumnal, cozy dinner. Add a glass of wine and you’ll have quite a feast. Recipe serves 4 people as main course. Combine vegetable stock and water in a medium saucepan and bring to a simmer over high heat. Lower heat and keep stock warm. Alternately, heat it up in the microwave and reheat it when necessary. Heat 2 tablespoons of oil in a large, heavy saucepan. Add shallots and cook for a few minutes, over medium-high heat, until softened and translucent. Stir in garlic and thyme and cook for about 30 seconds, until fragrant. Toss in the mushrooms, sprinkle with 1/2 teaspoon salt, 2 TBSPs oil and stir to coat. Keep stirring until mushrooms shrink and release some of their liquid. Cook mushrooms for about 5 minutes, until tender. Stir in the rice and cook for a few minutes. Add the wine and stir until the liquid is absorbed, about 30-60 seconds. Add 1 cup warm vegetable stock, 1/2 teaspoon salt and 2 grinds of black pepper. 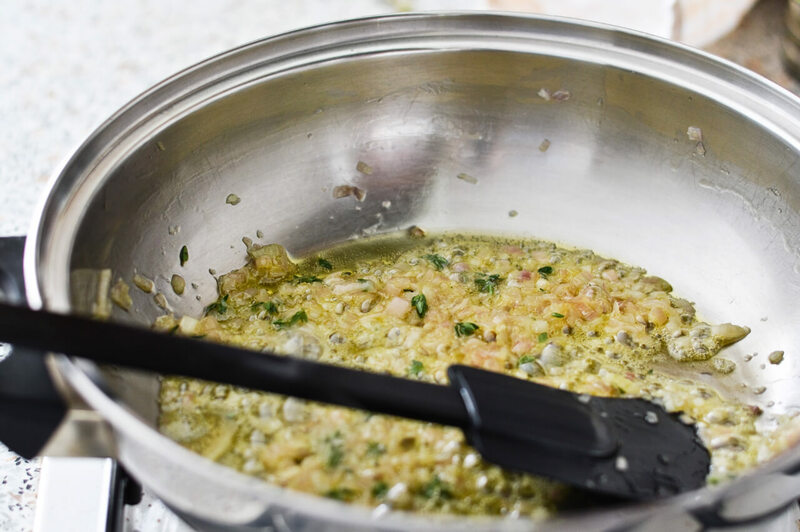 Gently stir and cook risotto until most of the liquid is absorbed. Keep stirring and adding the stock when most of it is absorbed, about 120ml (1/2 cup) at a time, until the rice is cooked through but still has some bite to it. The risotto should be creamy. Stir in the butter. Then the cheese, if using. Taste to see if you want more salt or pepper. Let sit for a few minutes. If the risotto gets too thick, add a few tablespoons of vegetable stock, if you want. Serve, with more cheese on the side and a sprig of thyme on top (optional). 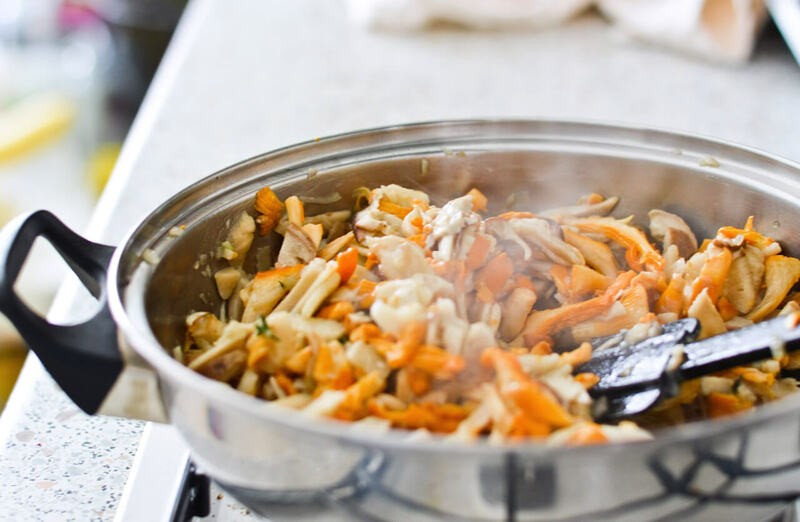 If you can’t get wild mushrooms, use fresh button mushrooms (champignons) instead. If you dislike thyme, parsley works nicely too. To make dairy free: Skip the cheese and butter, use vegan butter or margarine instead. You can even try adding soy cream or similar. Recipe by Epicurious consulted when making this.